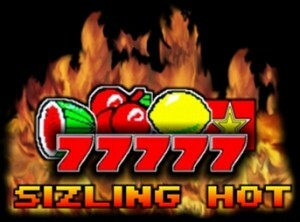 The Sizzling Hot free game has 5 reels 3 rows and 5 pay-lines. Player starts with 15 000 credits. The betting system has been changed. Minimum bet per line is 1, maximum bet is 500. That makes a total maximum bet of 2500 possbible. Running out of credits? Simply reload the page for another 15 000 free credits.